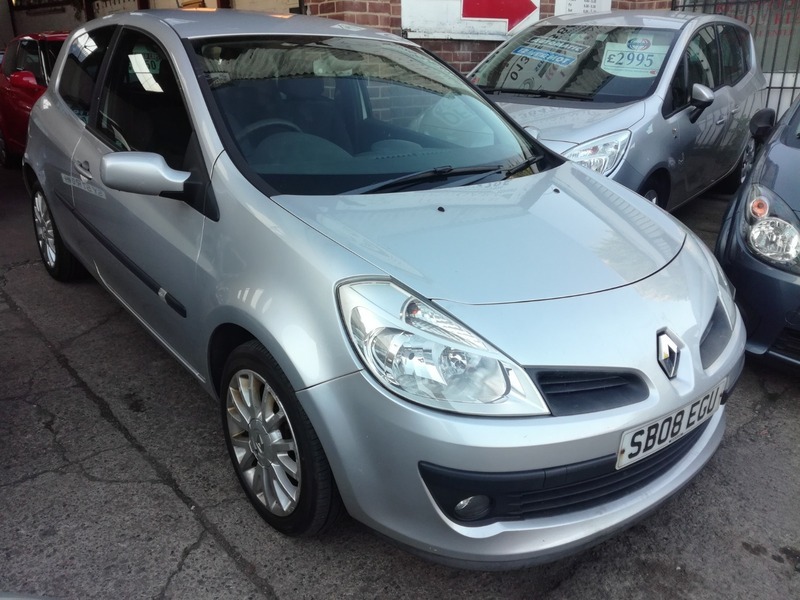 A REALLY GOOD EXAMPLE RENAULT CLIO 1.2 TCE FINISHED IN SILVER METALLIC AND COMES WITH THE BENEFIT OF HAVING 12 MONTHS MOT AND A BRAND NEW CLUTCH. DRIVES PRETTY MUCH FAULTLESS, IS CLEAN AND TIDY INSIDE AND OUT AND COMES WITH ALL THE DYNAMIQUE REFINEMENTS. 2 KEYS, FULL LOGBOOK, BOOKPACK WITH SOME SERVICE HISTORY AND 6 MONTHS WARRANTY INCLUDED IN THE ASKING PRICE! !...ALL CREDIT/DEBIT CARDS ACCEPTED, PART EXCHANGE WELCOME, CHEAP UK DELIVERY, VIEWING 7 DAYS A WEEK WITH HOURS TO SUIT YOU, ASK FOR FINANCE! !